A desert is an almost uninhabited area where rainfall rarely exceeds 250 milliliters per year. 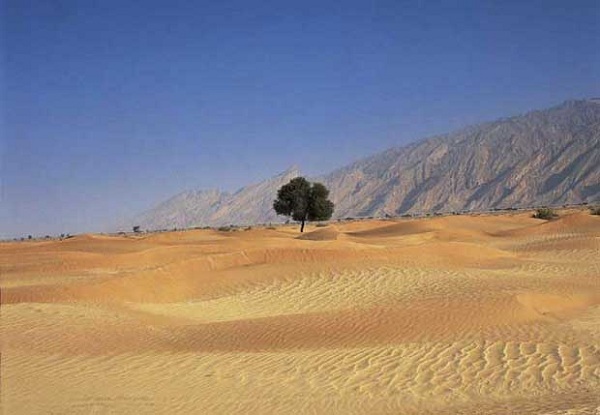 Most of the world’s deserts are in areas of constant high pressures, a detail that does not favor precipitation. 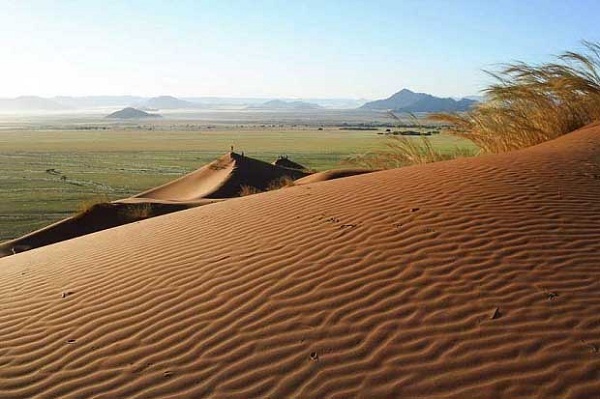 Depending on the climatic conditions there are several types of desert : cold, warm, mid latitude desert, monsoon, from NE trade winds and coastal desert. Here we show the 6 largest deserts in the world. It covers an area of 13,829,430 square kilometers and is considered the coldest territory , dry and windy the entire Earth . Rainfall in the inner plateau around 50 mm. a year, while on the coast about 200 mm fall. of water. 98% of its rocky soil surface is covered by ice , so that life in this inhospitable region some bacteria, mosses and lichens is reduced. In coastal areas inhabited by penguins, seals, sea lions, petrels , gulls and cormorants, among other species. It has an area of 13,726,937 square kilometers, is the second desert planet’s largest, has the same characteristics of the Antarctic Desert and consists of large polar deserts ranging from Alaska, Greenland, Canada, Iceland, Norway, Sweden, Finland and Russia. 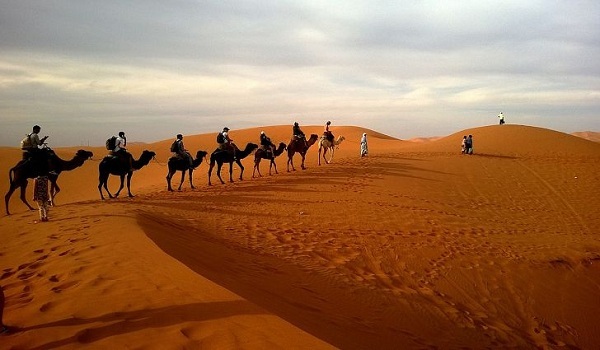 The Sahara Desert covers an area of 9,065,253 square kilometers and is located across the northern fringe of Africa. It is the world’s largest hot desert. It is part of Morocco, Western Sahara, Mauritania, Algeria, Tunisia, Mali, Niger, Libya, Chad and Egypt. In the Sahara we can find a lot of diversity , there are areas with large dunes that can exceed 180 meters high, as there Algeria. As well southern steppe territories and sheet, such as the southern part of the desert give way the Sahel; desolate regions, like the monotonous moonscape of Tanezrouft, on the borders between Algeria, Niger and Mali and “dead” mountains. 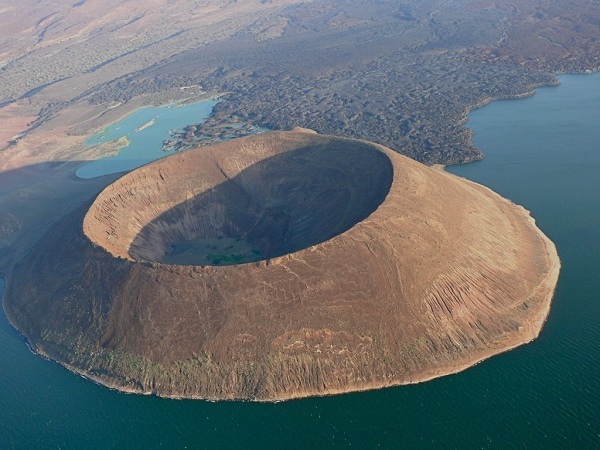 It is even possible to find oases and great rivers like the Nile. With 2,300,000 km² the Arabian desert is located in the Arabian Peninsula . This desert stretches Yemen, Oman, UAE, Kuwait, Qatar, Bahrain, Jordan, Iraq and, above all, Saudi Arabia. The little town is located near underground wells or springs . It has two large nuclei spectacular sand: Nafud, north where transverse dunes reach 120 meters and Rub’al-Khali, south, the largest desert dunes in the world (650,000 square kilometers), a place with little life and where the sandy accumulations reach 250 meters in some points. In this desert there are large sources of wealth and has extracting oil, gas, phosphates and sulfur. Gazelles, oryx and desert cats are the species most representative animals that inhabit these domains. Has 1,371,000 km², is located on the western plains and lowlands of the interior . It consists of ten large arid expanses that are happening each other. Noted for its surface two, the Great Victoria Desert and the Great Sandy Desert. However, the most interesting is the desert of Gibson, since there is the largest population of Aboriginal people across the country, as well as the Uluru rock, next to Kata Tjuta, they are two of the major tourist attractions in the area . With 1,300,000 km², the Gobi is one of the most interesting deserts in the world . It is located in the southern part of Mongolia and northern China and its extension has very diverse landscapes, rich wildlife and extreme weather. In the Gobi carried out the fossils and dinosaur eggs world ‘s most important excavations . We also have Bayanzag, called Flaming Cliffs for its incredible orange; the narrow gorge of Yolyn Am and the mountains of Gobi Gurvansaikhan. The Gobi is one of the most popular deserts , as it is crossed by the line of railroad Trans , one of the branches of the Trans – Siberian whose destination is Beijing. Deserts are inhospitable territories , places extreme temperatures where life is hardly possible and yet are incredibly beautiful.